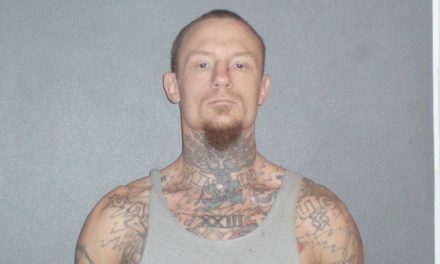 CROCKETT – A Crockett man was arrested and charged with five felonies and three misdemeanors after an incident on Saturday, Feb. 4 where he allegedly slammed into a patrol unit while he attempted to evade law enforcement officials. 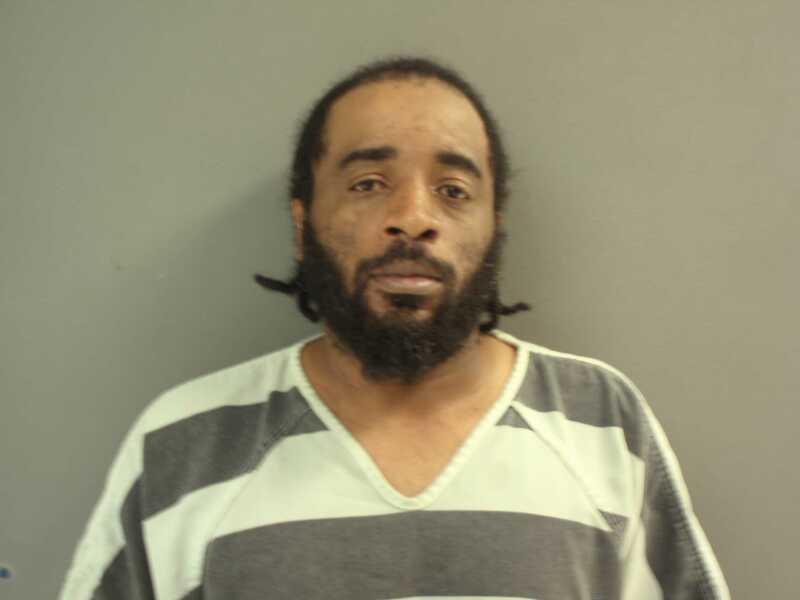 Jarvis Tremain McCullough, 35, was booked into custody on charges of: aggravated assault of a public servant; evading arrest or detention with a vehicle; two counts of possession of a controlled substance; felony possession of a firearm; theft of a firearm; resisting arrest; and possession of marijuana. McCullough’s arrest stemmed from a report of loud music coming from a vehicle parked in front of Margie’s Club, located at 200 E. Bell Ave. Corporal Todd Little and Officer Bray Walter with the Crockett Police Department were dispatched to the location and when they arrived they “… could hear loud music coming from a 2008 Chrysler 300 that was parked in front of the club,” according to an arrest report. The officers parked their patrol unit behind the Chrysler and approached the vehicle “… to make contact with the driver, and only occupant, later identified as Jarvis McCullough,” the report stated. As the officers approached the vehicle, the arrest report indicated they detected a strong odor of marijuana. 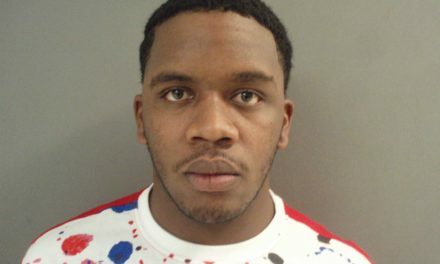 The police officers requested McCullough to roll down his window but according to the arrest report, McCullough opened the driver’s side door, closed it, put the car in reverse and slammed into the CPD patrol unit. “Cpl. Little then approached the Chrysler, opened the driver’s door and pulled McCullough out,” the report stated. A search of the Chrysler driven by McCullough yielded a Smith and Wesson 9mm pistol – which had previously been reported as stolen – a container with marijuana and a bag containing three pills identified as hydrocodone, the report stated. McCullough was transported to the Houston County Jail and was booked into custody on a total of eight criminal offenses. Among the aforementioned charges, the aggravated assault of a public servant offense is considered as a first degree felony. The evading arrest, cocaine possession and felony firearm possession offenses are considered third degree felonies. The theft of a firearm charge is considered a state jail felony. The resisting arrest and possession of hydrocodone offense are considered Class A misdemeanors. The possession of marijuana charge is considered a Class B misdemeanor. 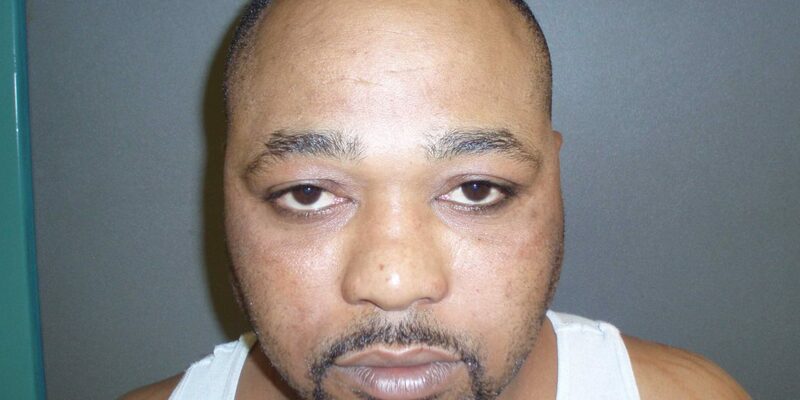 McCullough is held at the Houston County Jail on a total bond of $188,000.